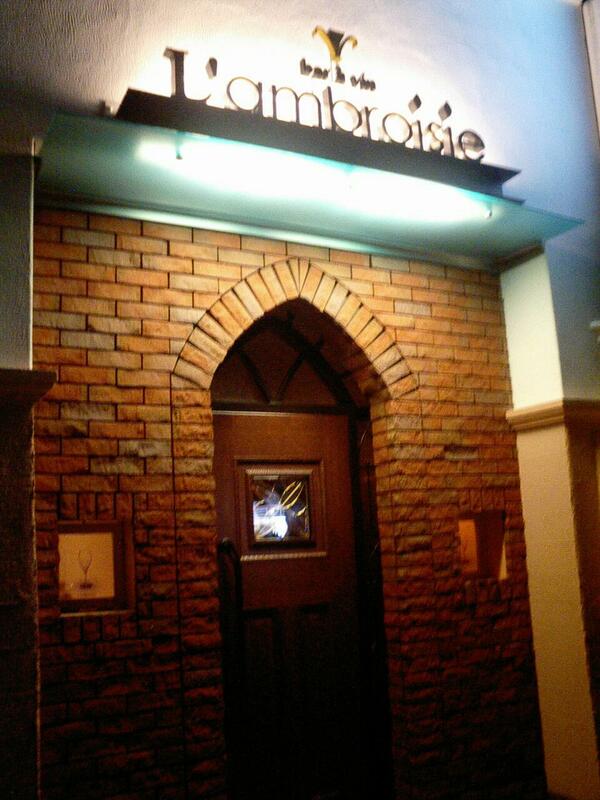 ﻿ About the wine bar: L'ambroisie. Higashi-Sakura, Nagoya-shi. A small bar with a counter only. The bar of destined encounter with a glass of wine, time with tender. About the wine bar: L'ambroisie. Higashi-Sakura, Nagoya-shi. A small bar with a counter only. The bar of destined encounter with a glass of wine, time with tender. Thank you very much for visiting the official site of the wine bar: L'ambroisie. Copyright (c) Since 2007 L'ambroisie Corporation All Rights Reserved.